Vida Mind provides customised mental training and sport psychology services for athletes, coaches and parents of all ages and skill levels. We teach mental skills that prevent slumps, blocks and fears so you can develop mental toughness and achieve peak performance. From beginners to elite athletes the Vida Mind programs focus on performance improvement as well as balanced and harmonious development of the athletes. Working together to help you to express your full potential is our first goal at Vida Mind. 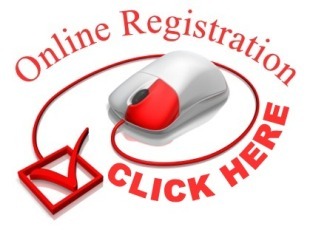 To sign up for all of the following programs click on the online registration link below or download a printable pdf. Themes: Goals, roadblocks and solutions, Visualisation, Ideal performance state, Relaxation, Breathing, Awareness training, Self-talk, Concentration, Emotions, Beliefs, Fear, Stress, Confidence. Renewal of the 6 session packages. MentalApp is the first mobile app designed to help athletes and performers develop mental skill mastery. It is the most complete app designed to help athletes develop mental toughness. The biggest benefits of MentalApp are the ability to train groups of any size or skill level and the added support athletes are provided. For the first time, coaches, sport psychologists and parents can know what their athletes are doing, how they’re training and how to best support them. Teaches core mental skills through short videos and audios. Provides tools to practice mental skills for habit development (relaxation, awareness, imagery). Provides automated rewards, feedback and reminders. Enables coaches and mental trainers to oversee and provide accountability with an elegant dashboard. Enables mental trainers to provide effective mental training to small, medium or large group. Enables coaches and mental trainers to send individual and group message in-app. Coaches and mental trainers acknowledge the value of monitoring and setting goals as well as keeping track of progress using the “7-day Trend” function. In addition, they use the videos to compliment their own knowledge and activities they use to build and sustain mental toughness at the highest levels of competition. Since 2 years top athletes have been using MentalApp. For instance, top Croatian tennis talents Jana Fett, who made it to the finals of the 2014 Junior Australian Open, and Borna Ćorić who won the 2013 Junior US Open singles. Borna Ćorić won the US Open Junior Boy’s final title after beating Austrialian’s Thanasi Kokkinakis. Ćorić was in his first Grand Slam final after making the semi-final at the Australian Open and French Open 2013. 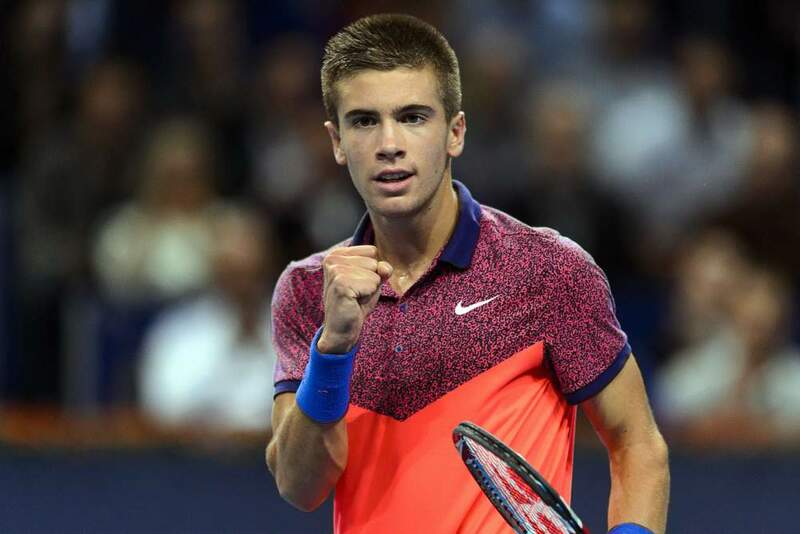 Borna represents Croatian Davis Cup and was rewarded by the 2014 ATP ‘Star of Tomorrow’ award for his string of victories over top ranked players in 2014 (Nadal, Janowicz). In 2014 he became the youngest player (17) on the ATP Top-100 ranking list. In sport, athletes may not be aware of the important visual cues they are attending to. They play the game properly but have little insight into the role of their eyes and employ a traditional input pattern as their default visual strategy which could be not always the most efficient. For instance, in ball sports, especially tennis, cricket and golf, the strategy which consists of focusing on the contact point could allow the player not only to simplify the input information but also to exercise skilful decision-making. Damien teaches what the athlete is required to do, in terms of actions and cognitive processes. His gaze control/visual skills training – also called Quiet Eye – decreases the number of variables to be controlled, simplify the visual input, and improve anticipation, balance and focus. 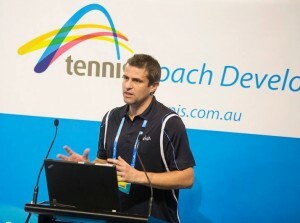 Damien’s work on anticipation and gaze control has been presented worldwide: University of Sourthern California, ITF Congress of Sport Science, Swiss Coaches Association, University of Melbourne, Victoria University and at the 2014 Australian Open Coaches’ Conference featuring ATP top coaches Toni Nadal, Jamie Murray or Roger Rasheed. His articles, “Gaze control during the hitting phase in tennis” and “Towards a new hitting model in tennis“, appeared in ITF Coaches and Science Review and the International Journal of Performance Analysis in Sport.